I lived in Los Angeles, on and off, for eight years. During those 2,900 days I ate almost zero great pizzas. They just didn't exist there at the time. Sure, I had a lot of perfectly decent pizza, but who wants "decent"? As my time in LA was coming to a close, two culinary masters were hatching something Los Angeles hitherto had been woefully unfamiliar with: a truly great pizzeria, in Hollywood no less. 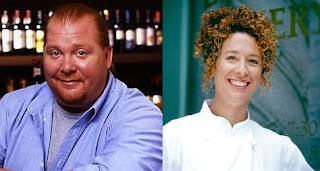 Mario Batali and Nancy Silverton need little introduction to food geeks. He's a world-class Italian chef with numerous restaurants and a force to be reckoned with on the Food Network's Iron Chef. She makes outstanding bread at her La Brea Bakery and has written several books on the subject of baking. 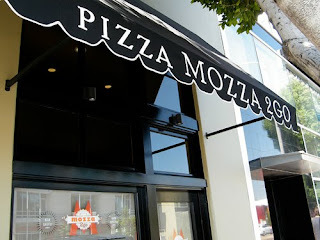 Their collaboration, Mozza, is a fantastic pizzeria, the best in LA as far as I'm concerned. But I'm not discussing Mozza right now. I'm reviewing Mozza2Go, the spin-off that resulted from the mass popularity of that restaurant and its inability to meet the relentless demands of Angelinos craving top-notch pizza. In order to even get into Mozza you need a reservation, and that can usually only be obtained a month in advance (longer for a Friday or Saturday night). The place is so trendy that any thoughts of grabbing a Mozza pie on the whim are like that day in high school when you tripped in the hall and crashed to the floor in front of the really cute girls: best left repressed. Mozza2Go solves that problem by offering the same pies on the Mozza menu (at the same price) in convenient, to go-only form via their shop around the corner on Melrose. 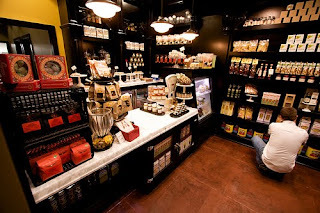 They also offer plenty of high quality Italian ingredients along one wall, though most of these products come at a pretty substantial markup. There are no tables, chairs, or benches in or outside the tiny space, so you're pretty much forced to take the hot pizzas back home to eat (or, if you're like me, back to your rental car). I tore into the Margherita ($13) first. The 10-inch pie has all the trappings of its full-restaurant counterpart, with its very wide and astoundingly puffy cornicione, bright red tomato sauce, patches of yellowing mozzarella, and tiny on-the-stem basil leaves (though I seem to remember a basil chiffonade last time instead of the whole-leaves-and-stem thing). While the pie may bear a physical resemblance to its fancier brother, it in no way tastes like it, and every change is for the worse. The sauce is the biggest offender here. It's thick, pasty, and totally devoid of a tomato's natural brightness. The sauce had been spread on the pizza with a heavy hand, and it overpowered everything else despite its blandness. The mozzarella didn't fare much better. It's flavorless, and unlike the mozz served in Pizzeria Mozza, it isn't soft at all. In fact, I'm not even sure whether it was fresh or aged. It lacked the texture of fresh and the saltiness of aged. It was just sort of...there. And the basil? Couldn't taste it. I suspect the reason this pizza fell so flat is because the same people aren't making both restaurants' pies. There was just an amateurish air about it, from the sloppiness of the toppings to the undercooked underside of the crust. Thankfully, though, the flavor of that crust is just as superlative as I remembered. This is one of the great pizza crusts, echoing Silverton's award-winning bread in its excellence. It's so good that it you really could eat it on its own, sans toppings, and be completely satisfied. Every inch is dotted with raised fermentation blisters that release an audible snap when bitten into, giving way to a light, cavernous crumb that pushes the cornice as high as I've ever seen one go. It is, essentially, an Italian bread shaped into a saucer, and I could use those end crusts for sandwich bread and be happier with that than the bread at 95% of the bakeries in this country. It's that good. My second pie was the Pizza alla Benno ($16), Silverton's son Ben's take on the Hawaiian pizza and one of the best you'll ever eat. The same oddly bland tomato sauce and mozzarella was bolstered by discs of pineapple sliced as thin as paper, arranged like sunbursts around the jalapenos, which pop in the mouth with a quick rupture of heat. Once the pie is removed from the oven, speck (a prosciutto-like, juniper-flavored, thinly sliced European ham) is draped over the pizza, allowing it to absorb some heat from the still-steaming toppings beneath it. The whole thing is then given a sprinkling of finely chopped chives. This pizza really works. The fresh pineapples are very sweet but sliced thinly enough that they don't dominate the pie as canned pineapple so often does in American pizza parlors. The jalapenos deliver spikes of spiciness in small enough doses that your taste buds are stimulated but not set ablaze. And the speck brings a pleasantly light ham flavor to the pizza in substitution for the usual Canadian bacon, although you usually end up pulling off an entire strip with one bite. 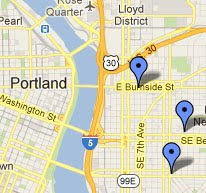 Thankfully they're not stingy with it. I saved the best for last: the Meat Lover's ($18) is sensational. 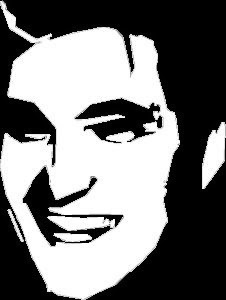 And sensationally greasy. But with all the meat on this pizza, it's inevitable. Bacon, salami, fennel sausage, and pancetta join forces to create something only a loveless, black hearted soul could find fault with: a veritable tapestry of meaty goodness. Coupled with that amazing crust, it's one of this world's great pizzas. The standout is unquestionably the sausage. It's placed on the pizza in large walnut-sized chunks which are so soft and lightly constructed that they fall apart to the touch. They remind me more of fennel-laced meatballs than sausage; I recommend you break them apart with a fork and evenly distribute them across the pie for maximum enjoyment. Mozza2Go is a great choice for those who don't feel like reserving your table weeks in advance or dealing with the full restaurant's snooty service. It's not perfect, and the pies are just a notch below those in the original Mozza (in the case of the Margherita, several notches below), but not so much that you're taking a drastic hit in quality. If you're in LA on an impromptu visit and love pizza, you absolutely cannot pass it up.